What is included in the Optum data and what makes it unique? 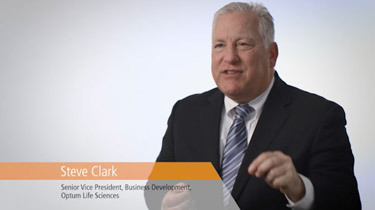 The Optum Life Science's data is unique in that it comprises the three components of care: Claims data, clinical data, and integrated data. Nobody else has that, nobody else has the capability to look integrally at that and to make decisions from that directly. What's unique about Optum Life Science's EHR data is that it's probably the most robust capture of the entire patient's experience throughout the health care continuum. As a researcher, being at Optum and having access to its data assets is like being a kid in a candy store. We have administrative claims data that dates back to 1993, over 160 million lives. And because United is a closed system, we see every interaction with the health care system. So, that means that we know when that patient's benefits begin and when they expire, and we know that we'll capture a census of their health care resource utilization and their corresponding costs throughout their care continuum. We have over 1 billion notes that contain information that a physician of provider thought was relevant at the point of care and using computer methods, we can extract that information in the context necessary to interpret those data and make the data useable for research. The data that we have now, allows us to enter a new era of visibility, things that we haven't seen before. What's happening as patients and physicians are making decisions? How does that impact an outcome? And relatively, what does that mean to them as they're pursuing an outcomes-based economics formula that we know is very important in the market? As a physician who's practiced for over 30 years and has been in the pharmacy benefit management world, now in the Optum Life Science world, this data provides the ability to really improve patient care, to make patients' lives healthier. 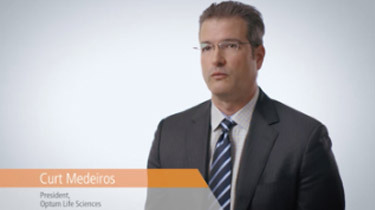 The folks in Optum Life Sciences are committed to driving this change, moving beyond simply data and analytics, but really driving meaningful change directly with physicians, patients, payors, and our Life Sciences collaborators. That has the potential to fundamentally change the lives of hundreds of millions of individuals in the United States and, over time, the world, and that's what gets me most excited to get up and come to work every day.